The Old Station Nursery, an established family run childcare business, will be opening its fifth nursery on 3 January 2017 following a £100,000 refurbishment programme when it takes over the operation at The Oxford Science Park. The positive news follows the announcement in July 2016 that the Park’s existing operator had ceased trading. Since then the Park has been working to swiftly find a suitable new operator through a competitive process. The Old Station Nursery was set up by in 2002 by Sarah Steel when she was looking for good quality childcare for her own children. Sarah understands the importance of providing first class childcare whilst offering a safe, welcoming and inspiring environment in which the children and staff thrive. With an annual turnover of more than £3 million, currently there are four nursery sites in the surrounding area, three of which are rated “Outstanding” by OFSTED. Three are in Oxfordshire: Faringdon, Filkins, and Henley on Thames, and one in Gloucestershire in Innsworth. 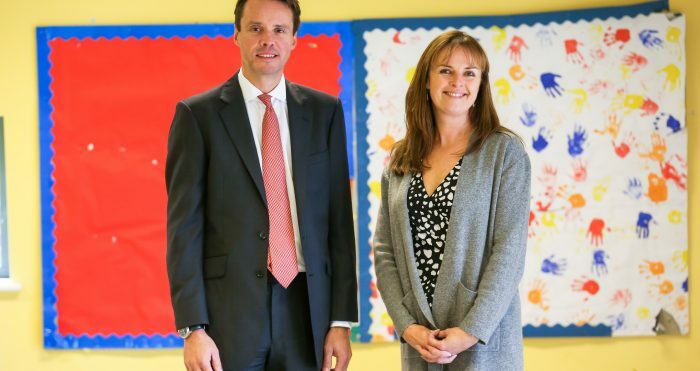 The Nursery has been looking to expand in Oxford as the City is equidistant between its Henley and Faringdon nurseries and it needed to meet the growing demand for nursery spaces in Oxford. Its new Oxford nursery will provide daycare to parents and carers both on the Park and those in the surrounding area for up to 72 children from birth to five years old. The current building is a purpose built nursery which is light and airy with three rooms: babies, toddlers and pre-school, and also a babies’ sleeping room, kitchen and office totalling circa 5,000 sq ft. The Old Station Nursery will carry out a £100,000 refurbishment of the building which will include interior decorating throughout, all new equipment, and garden refurbishment. Sarah Steel is a dynamic entrepreneur, director and team leader with an impressive track record of developing high quality childcare businesses in the UK and overseas. She has a background in management within the Army and civilian industry and brings her experience as a parent to the development of each nursery. Sarah Steel, managing director, The Old Station Nursery explained: “Our whole ethos is to care for children and support the families, providing a ‘home-from-home’ for their children, and the best environment for happy children, happy parents and happy staff. The new nursery will be offering government funded two, three and four year old places, including the new 30 hour offer from September 2017. It will also offer a 5% discount to those people who work at The Oxford Science Park, and in line with its other nurseries, also to those people who work in the NHS, Emergency Services, and MOD. Sarah is now recruiting a number of positions at the nursery including Nursery Manager, Deputy Manager, Room Supervisors, Cook, Cleaner and an Apprentice. Anyone interested in applying should contact emma@theoldstationnursery.co.uk.